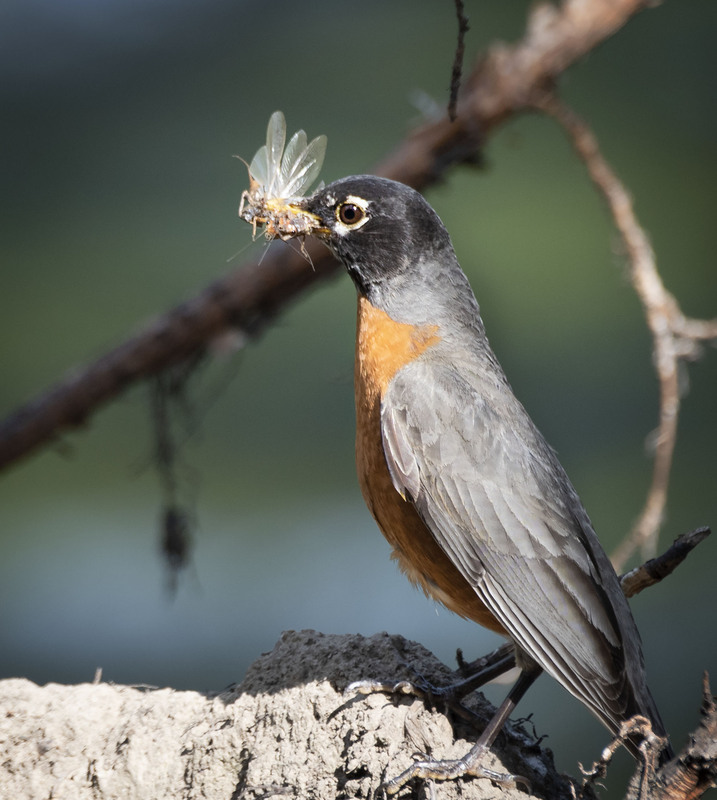 When I think of an American Robin foraging the picture that comes to mind is a Robin head down focused and ready to pull a wiggling worm form the grass. This day flies were buzzing about above the river and the Robin was keen to get into the act of flycatchin’. He would swoop down out of a tree across the the river and grab flies landing either back on a branch or in this case a log along the river back. He looked quite skilled at catching his prey and I will forever have a changed picture of a Robins foraging habits. No question which “flycatcher” this is! LOL And it’s important to remember that even though we may think of a species foraging in a specific way, many birds have multiple food sources. Hi and yes it is fun to be suppressed when birds are munching on things you typically don’t associate them eating. Thanks Belinda, it was fun seeing this guy foraging away and dong quite well at it. Hope you have a great weekend and thanks again for the feedback.